Online banking got its start in the 1980s in France, with Minitel. Participants received custom designed home terminals. Online banking, Internet banking, virtual banking, ebanking-whatever you call it, the unparalleled convenience of being able to manage your money at any time from almost any location, combined with the benefit to banks of two-way communication with the customer, makes digital banking #1 in our rankings. Banks began experimenting with home banking over telephone lines in the 1970s. 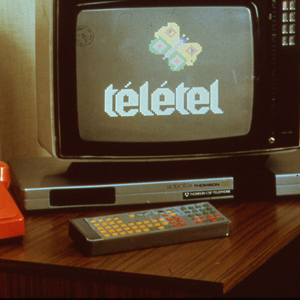 France was out in front, expanding distribution of government-subsidized Minitel terminals, which enabled a range of transactions and information searches, from Brittany starting in 1978 to all of France by 1982. In the US, Citibank, Chase Manhattan, Chemical and Manufacturers Hanover offered banking services for homes and small businesses with PCs, using modems over phone lines, in the early 1980s, according to Banking and Finance on the Internet. But these services failed to attract enough customers to break even. It was not until the emergence of personal computers that online banking took off. With the San Francisco Bay area a hotbed for techies, it makes sense that university-affiliated Stanford Federal Credit Union would be the first financial institution in the US to offer online banking, in 1994. A year later, Maryland-based Presidential Bank, which aimed to grow without opening too many branches, became the first US bank to offer accounts over the Internet—even winning a patent for its house-developed software. Early efforts to create digital-only banks suffered from the churn inherent in emerging industries. In October 1995, Security First Network Bank opened the first digital-only bank, offering bill payment, check viewing, and direct access to accounts—all features widely available now. But Security First was split, with the software development spun off as S1 Corporation and the banking portion sold to Royal Bank of Canada. By the late 1990s every traditional bank had a strategy to handle banking online, and more purely digital banks were popping up. Initially, consumers used bank websites to get information on products and services. Consumers soon moved to online banking for the remarkable convenience. The next evolutionary step was transferring funds through accounts. But the linchpin was the ability to pay bills online. Paying bills also became the catalyst for giving banks a single view of their customers, and the added benefit to banks vaulted development. “The real uptake occurred when it became two-ended, not just consumer to bank but bank to consumer,” says Joe Salesky, chief executive of CRMNEXT, which provides customer-relationship management platforms for banks. He says two-way interactions with the consumer have changed the game. Mobile capacity is further empowering the virtual banking juggernaut. In 2013, Jonathan Velline, executive vice president at Wells Fargo, told CNBC that about 80% of transactions had migrated away from branches and were being done on mobile phones, on home computers or via ATMs. A year later, the Harvard Business Review reported that 85% of retail banking transactions were digital.